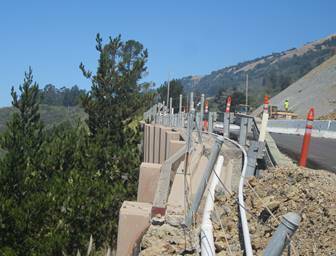 MONTEREY COUNTY – Construction work on the existing retaining wall will requires both directions of State Route 1 at Paul’s Slide (PM 21.6) to fully close overnight for two nights, starting on Sunday, Oct. 28. The highway will be closed from 10 pm to 6 am the next morning. Motorists/cyclists are advised to plan around these two emergency overnight full closures. This roadwork should be completed by Tuesday morning, Oct. 30 at 6 am. Note: Emergency services will be allowed passage through road closure.